Mahmud AbdulBaki (1526-1600) wrote poetry under the penname Baki (Bāḳī = the Enduring) during the reigns of 4 Ottoman sultans. As the acclaimed “Sultan of Poets” during the so-called “Golden Age” of Ottoman literature, Baki’s influence as a poet echoed down through the centuries. He was also a regular guest at the salons and private entertainments of Sultan Suleyman the Magnificent (reigned 1520-1566) and a noted scholar and jurist who rose to become the Chief Magistrate of the European Provinces, the second highest canon law position in the Empire. Whether or not he was the “best” poet ever among the Ottomans is still argued today but very few would claim that he was not the most famous. 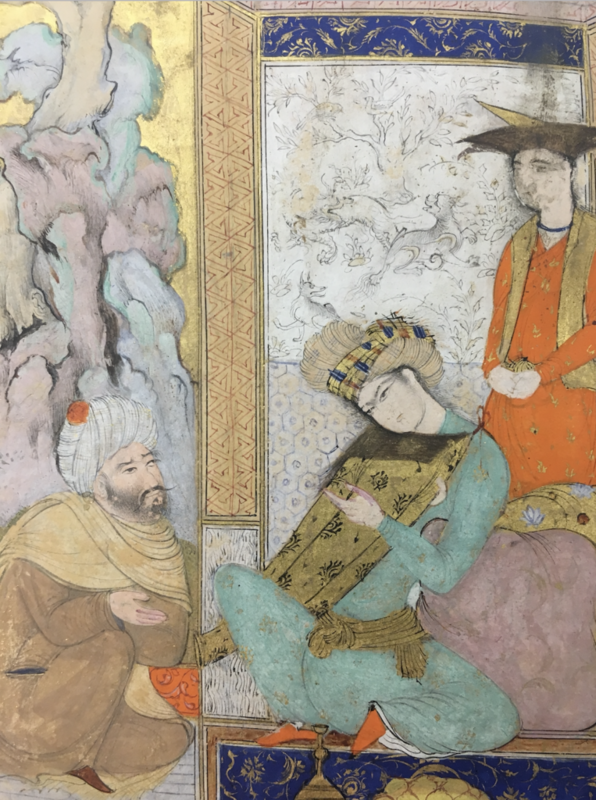 BAKI’S DIVAN: Baki’s divan, at his death, probably included some 650 or more poems ranging from panegyrics and occasional verses to love poems, fragments, and poems in Persian. A cursory review indicates that there are very likely more than 180 manuscript copies of Baki’s divan existing today world-wide. How many more than 180 there might be, we have no idea because there is no complete catalog of manuscripts of Baki’s divan, no attempt has been made to view or count the existing MSS, the MSS have never been assessed as a corpus and have never been accounted for as a group in an edition of the divan. The only critical edition of Baki’s Divan now in general use is the published version of a PhD. dissertation that compared only 12 manuscripts all from Turkish libraries immediately accessible to the editor. In his introduction, the editor says, “In the libraries of Turkey and and foreign countries there are more than one hundred copies of Baki’s Divan. It should not be hard to imagine how difficult it is to put out a critical text of a work with this many copies.” The editor was absolutely correct: in 1986, it would have not only been difficult to review even a substantial sample of existing manuscripts of Baki’s Divan—it would have been impossible and we are thankful for the edition he provided. Nonetheless, given the tools available to us today, the state of the Baki Divan is an intolerable situation especially in the case of the work of a poet whose stature within the Ottoman tradition is equivalent to that of a Milton or Shakespeare in English literature. Moreover, the Ottoman divan being a “collected works” the MS tradition most clearly does not really represent variants on a single text but, rather, represents the evolution of an historical series of expanding “editions” that appear (adding new and perhaps revised poems) over the lifetime of the artist. In the case of Baki, his lifetime as a recognized poet begins as early as his late teens and ends only with his death more than fifty years later. Because we have never examined the manuscripts containing his work as a whole, we have no idea of the history of his growth as a poet, which may be concealed in the MS corpus and its evolution.